Siesta Mar 1 est l'un des meilleurs complexes d'appartements au centre de Cala en Porter. Tous les restaurants et bars sont à 2 minutes à pied de l'appartement. Le supermarché local Spar se trouve à 1 minute à pied de l'appartement. L'appartement a son propre balcon donnant sur la grande piscine. Deux grandes chambres, salon / salle à manger et salle de bain avec baignoire / douche. Nous avons passé un bon séjour dans cet appartement très agréable. Le propriétaire est très attentionné. La résidence était très calme en cette saison (fin avril) , par contre l'eau de la piscine était encore froide, les supermarchés n'étaient pas encore ouverts au début du séjour ainsi que les restaurants qui étaient soit fermés soit vides. Je recommanderais de venir un peu plus tard en saison. Possibly as it was near the end of the season, there were a few issues. Only 2 teaspoons, not enough medium-size glasses for beer/soft drinks, the tv did not work as all the channels glitched, the fridge was in dire need of being defrosted and the freezer compartment was coloured with someone's leftover ice-lollies presumably. The bathroom sink plug did not work, which meant the water just drained away, the water trickled out of the tap and it was impossible to wash without bumping one's head on the overhead shelf. The lighting in the living-room was very dull and the seating was not comfortable. There were only 5 clothes pegs and the outdoor table had a couple of wonky legs. Some coasters would have been a good idea too as the table has a glass top. On the plus-side, however, the balcony is a good size with nice furniture and got the sun most of the day. Plenty of hangers in the wardrobes which were a good size and plenty of drawer space. It was nice to have a balcony at the back of the apartment. The air-conditioning in the living-room was very welcome as were the fans in the bedrooms. It would have been good to have photos of the actual apartment as what is shown on the website is a mish-mash of various apartments and it would appear that they are not quite all the same. The Siesta Mar 2 complex is a lovely though, with good pools and a good restaurant/bar. This apartment was completely renovated two years ago with AC installed so not sure why it is basic. When this guest arrived she contacted me stating none of the lights worked in the apartment I arrived within in minutes at the apartment to show her how to turn the lights on by using the light switches. Then the TV did not work but again when I showed her how to press the red button on the remote the TV comes on and works perfectly. The plug in the sink in the bathroom works perfectly but this guest was unable to use it but why she wanted to wash in the sink when there is a perfectly good walk in shower is very strange. The tap works perfectly well and water comes out but the comment in the review might be that she was unable to use the tap as well. The table had a wonky leg because she broke the table leg so we have had to replaced the table. The comfort of the seating is a personnel opinion and the years we have rented this apartment out no other guests have put this in a review. The comment in the review regarding the balcony is incorrect as the sun is on the main balcony all day not 'just some of the day'. Finally her comment stating our apartments are not the same is incorrect and until she has stayed in the other apartments she is unable to comment on this and put in a review. 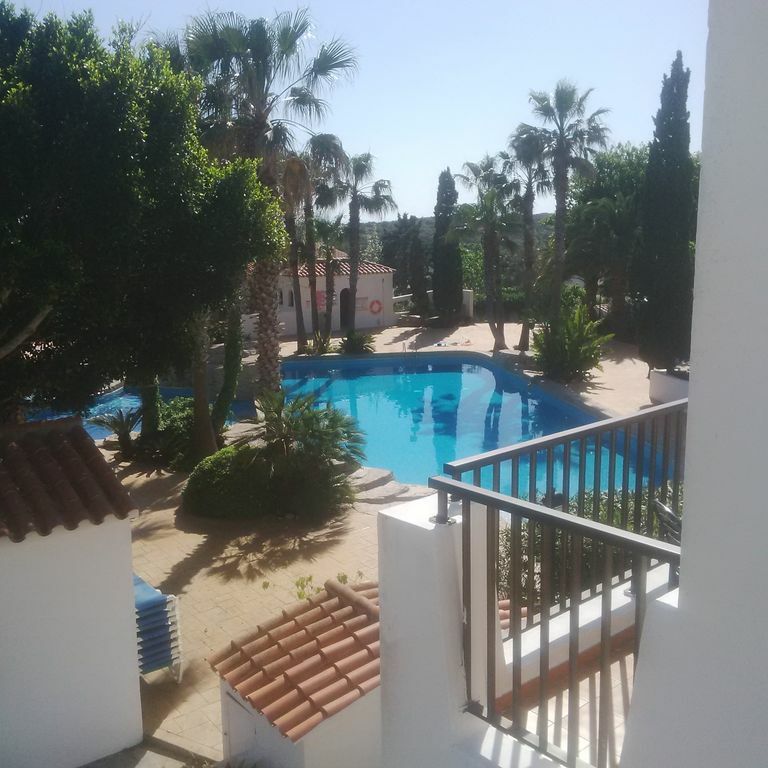 Great apartment, with plenty of space and everything you need for a week away. Excellent communication from Mike and few nice little touches left in the fridge to start the week off. Good pool area and great location Close to bars and restaurants. This review is a surprise to us and after staying with us in July but not entering a review until 15 September is very odd. This apartment has had a major refurbishment so not sure why this guest has said it is dated. If you want the hotel service of towels and bedding changed every day then I suggest booking a hotel in the future. I think anybody reading this review compared to our other 28 reviews left with an average 5 star rating will ignore these remarks. Fantastic time and a lovely place, thanks Mike. Great apartment for our family of 2 adults and 2 young children. Nice and cool with air conditioning in the lounge and ceiling fans in the bedrooms. Good Wifi as well. All in all had a great holiday and will definitely be back.